Only nine minutes by car Llancaiach Fawr Manor is a beautiful house with an exciting history. Built in 1530 it was designed to defend its occupants during the troubled Tudor period and even received a visit from King Charles I who was rallying for royalist supporters during the civil war. The interior is furnished, as it would have been during the 17th century. 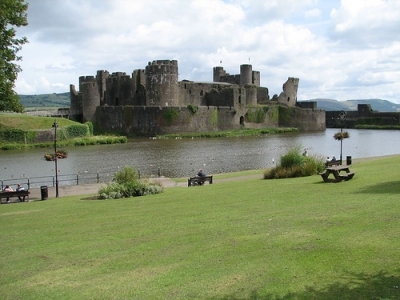 Caerphilly Castle is the second largest castle in the UK after Windsor Castle and was built in 1268 by the Anglo-Norman lord, Gilbert de Clare. Under 20 minutes by car via the A469. The Riverside Restaurant in nearby Blackwood is a local eatery with a great atmosphere serving fresh seasonal produce. The town of Blackwood has a bustling high street of independent and national stores. If you are looking for something bigger but want to avoid Cardiff's traffic you might want to consider Castle Court shopping centre in Caerphilly, it is closer and has a great choice of shops.